Nothing in and nothing out this week. I did sew a little every day, though. 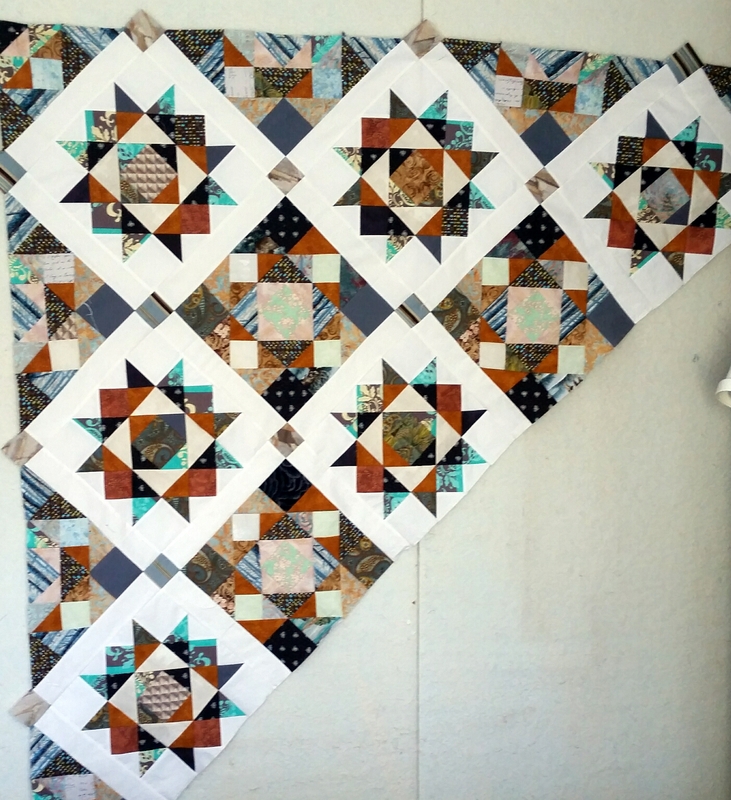 I put a few rows of Scrappy Stars Around the Corner together, and the sashing really changes the look (compare here). Hope you’re making progress using your stash. 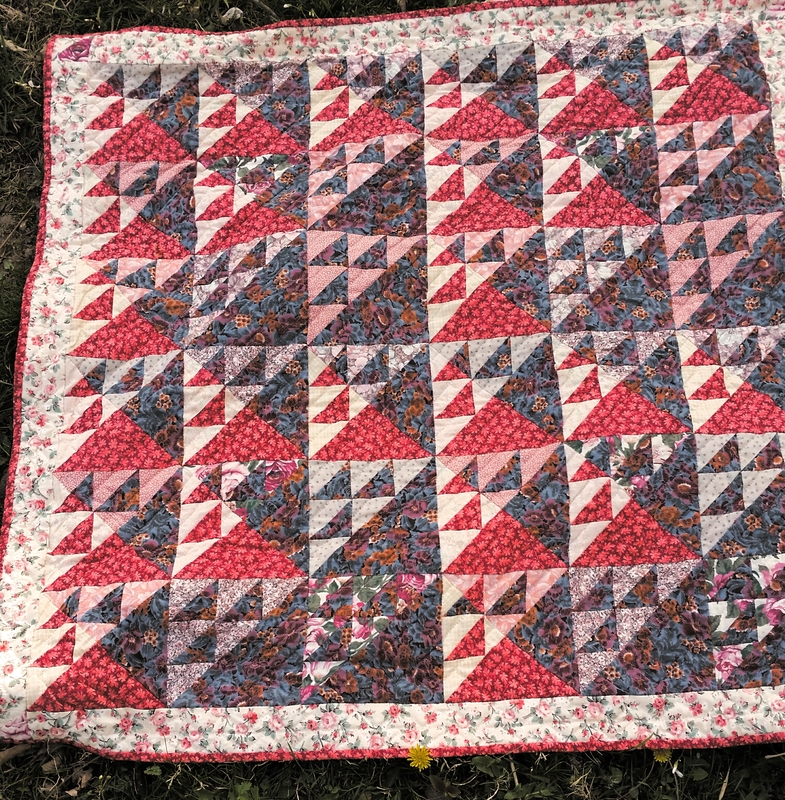 Today I finished Clue 4 in the Scrappy Stars Around the Corner mystery quilt. I like the way they turned out. Here are the blocks laid out without any sashing. The Snow sashing will lighten it up a lot. 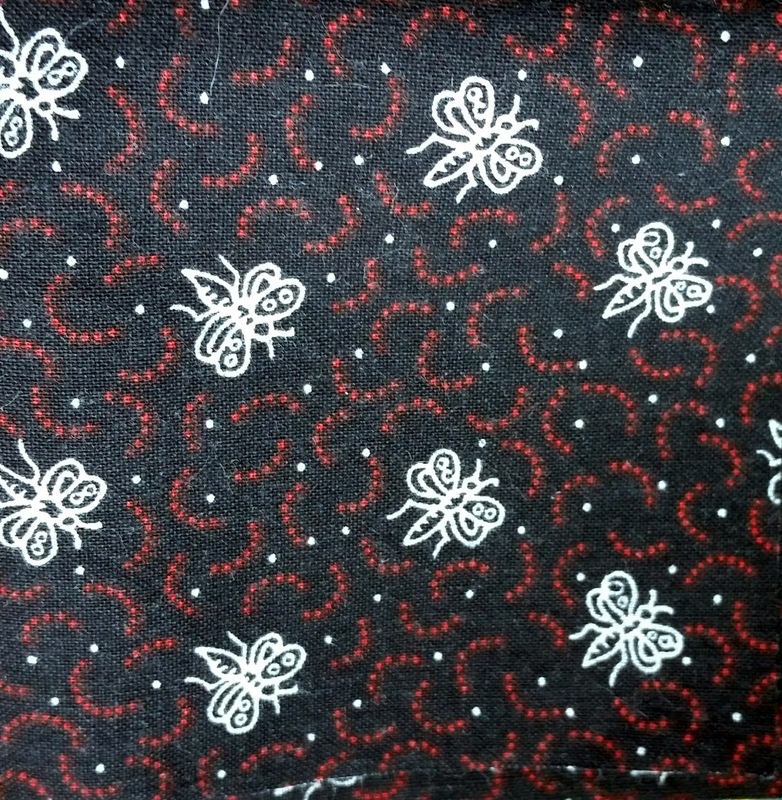 I’ve gotten questions about this very…interesting fabric that keeps popping up in my quilts. I bought it about ten years ago, and I’ve been trying to use it up ever since. Yes, I think those are flies. Almost look like mosquitos. Surely not supposed to be butterflies? I bought this fabric (probably at JoAnn) for my niece’s cat quilt. (I’m sorry about these phone photos of film photos.) I needed a “light” black, and this seemed whimsical. I bought a couple yards because the entire background was supposed to be black. And it looked great, design-wise. 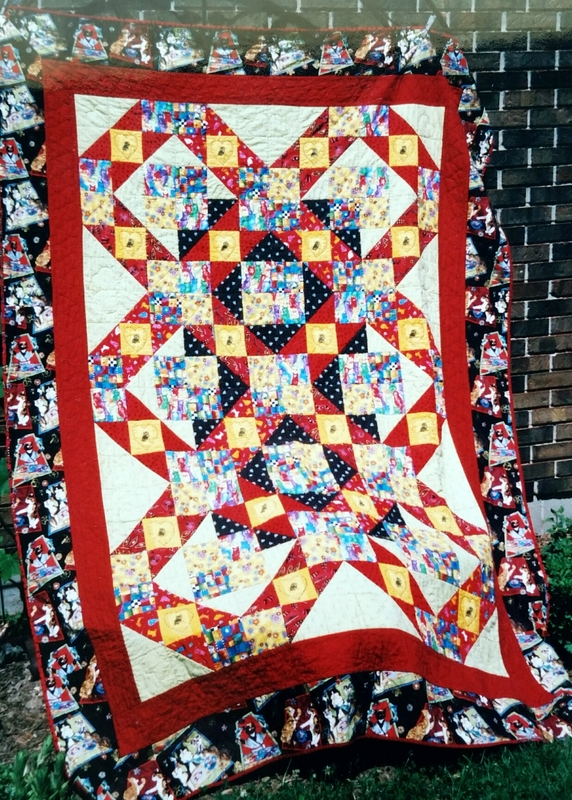 But it made a very dark quilt for a graduation gift. So I bought the pale green (with it’s own insects) to finish it out. 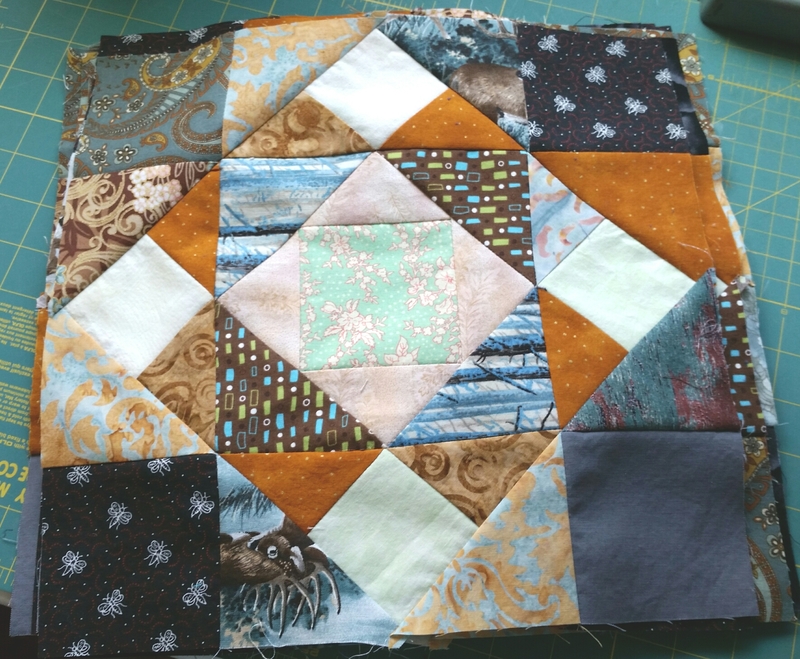 And I was left with lots of cut triangles and yardage to use up. 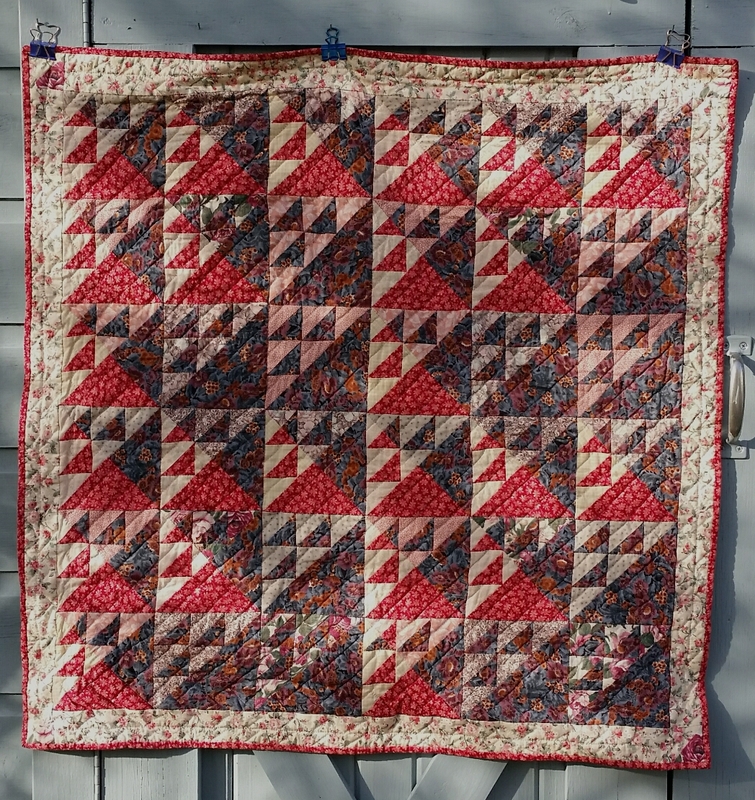 The best place I found to use a lot of it was the second of these Rail Fence quilts. And maybe the last of it has ended up in SSAtC. Yes, this is the “Tidy Cat” on the yellow patches. Tidy Cat briefly offered their litter in printed feed sacks about 12? 15? 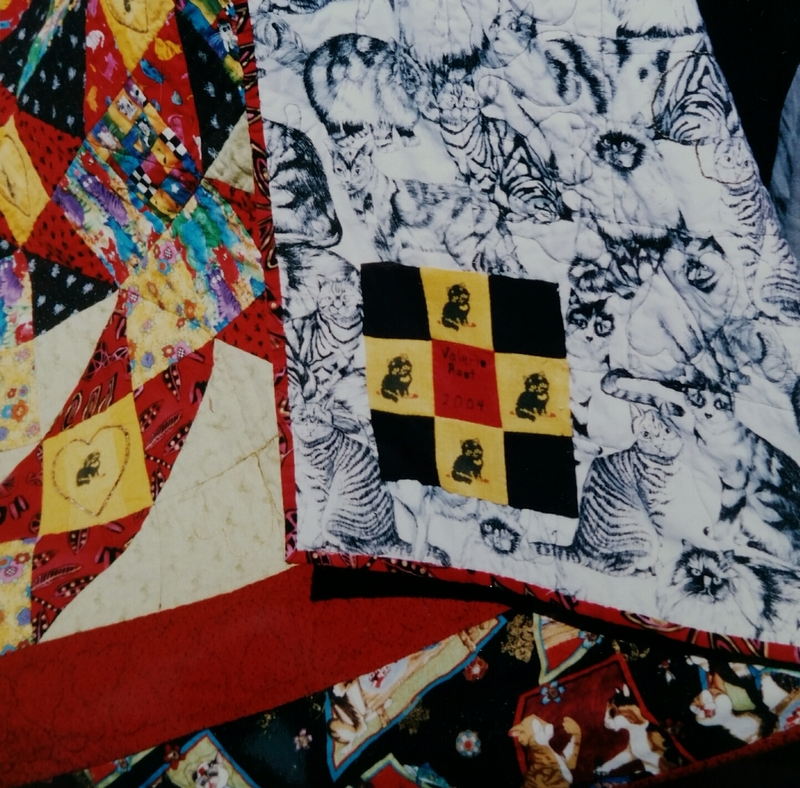 years ago, so I had saved one or two and they were the genisis of this quilt. You just never know. Hope you’re making good progress on your projects! Categories: Uncategorized | Tags: Evening in the Garden, Scrappy Stars Around the Corner, Valerie Root | Permalink. 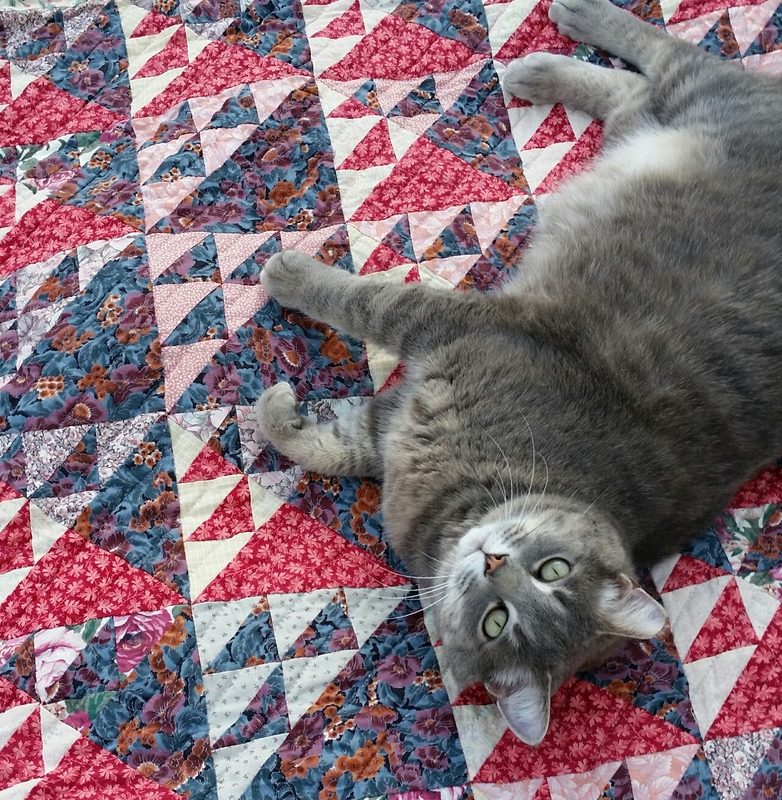 As I take it easy to let my new knee heal, it seemed like a good time to show off an old quilt. The Twilters! on Facebook are holding an exchange of Birds in the Air blocks in honor of Frances’ new book, so I was reminded of this. 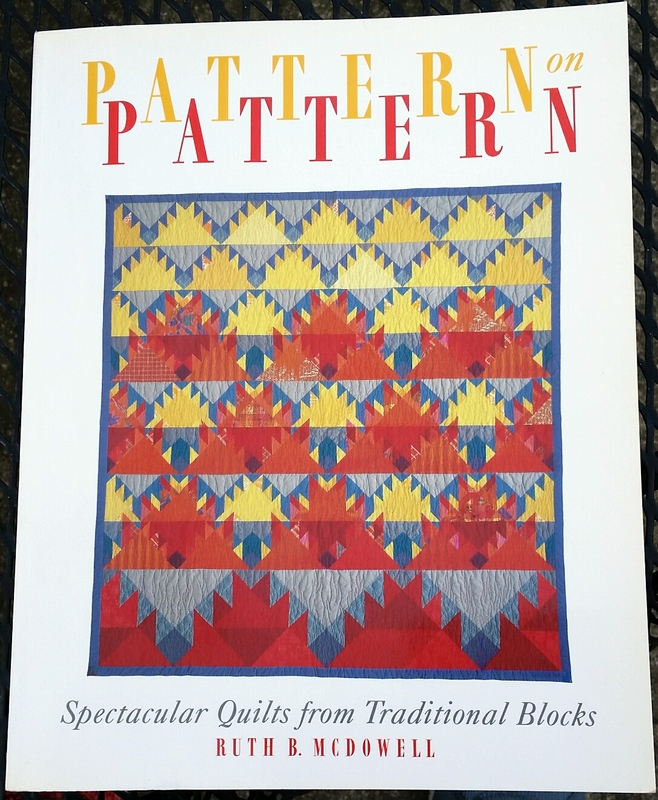 I made this little quilt in 1993, inspired by Ruth McDowell’s Pattern on Pattern. 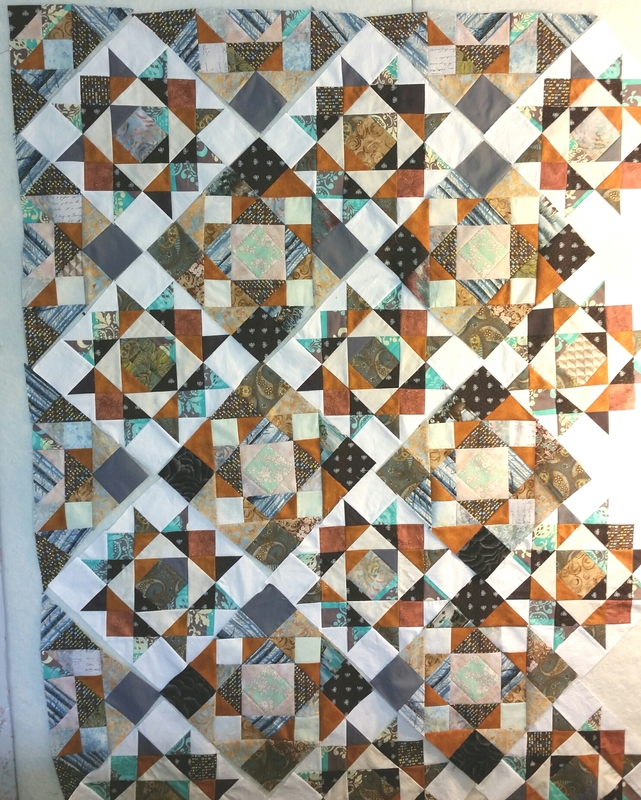 It’s all hand pieced and quilted (from back when I did that!). It’s about 39″ square, made from 6″ blocks. Some blocks are like we’re making, others are split down the middle, and then color creates the shifting layers of transparency. Gives me ideas for fancy ways to set our exchange blocks. And, yes, you’ll be glad to know I did have help with these photos. Categories: Uncategorized | Tags: birds in the air, twilters | Permalink. Yuri’s pretty confused. 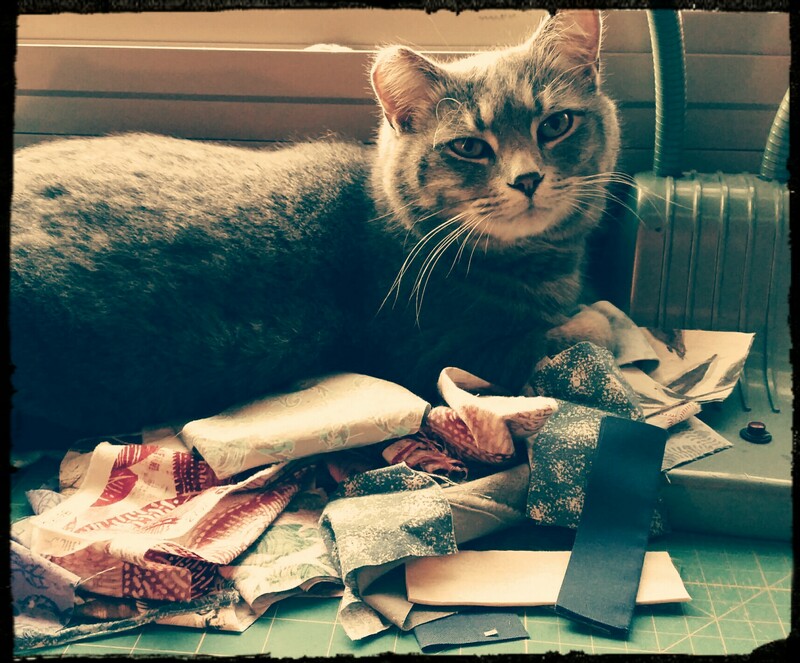 There’s no sewing going on, his dad is feeding him, and the weather is not cat-friendly, to say the least. All that should resolve itself soon, and he’ll be back to his routine. Thanks to everyone for your good wishes for my knee surgery. They seem to have worked, because I’m doing very well. It’s been very painful, but I’m walking around fine, using a cane when I go out, and the physical therapist says I’m making great progress. DH has been doing all the cooking, which is wonderful, but I’ll probably get back to that soon, too. I’ve been very tired and haven’t felt creative at all. I have kept up on reading blogs and groups on Facebook and Twitter. Haven’t touched the knitting. At least I haven’t bought any fabric (we’re not tracking sandals or workout wear, are we?) so far, so my numbers are still the same. Hope you’re sewing up your stash!